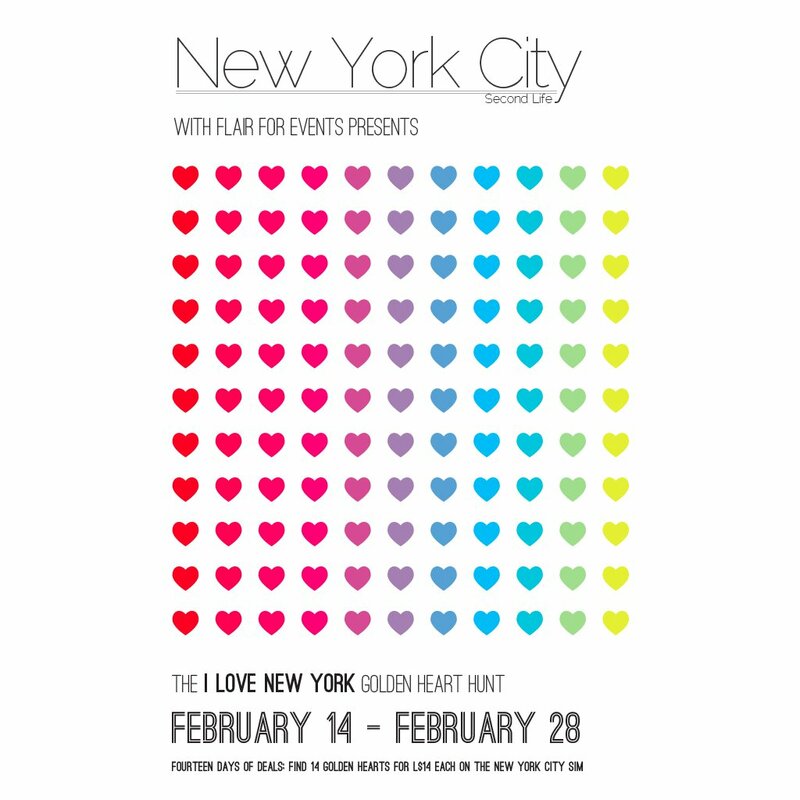 I love NY hunt started on february the 14th and will end on the 28th. It takes place in the stores of New York City land. I wanted to take pictures at this place, because it looks nice, but I never succeed in loading the entire place, and it’s so laggy that I gave up my tour… No luck ! 14 items to search for, each one is 14L$, so take a look at the pictures before you go for it. I took a look at NYC’s blog post about the event (here) where there are vendor pictures. I wanted to find BsD’s necklace but I did not find it… No luck, again. This was the only item I was willing to try, that’s really a shame ! I love all events for NYC, and it’s always a good time with great products featured, but this valentine’s hunt is quite a deception : prices are quite low quality, and I had a laggy exhausting experience. Anyway, here are some of the items you can find at NYC before the end of the event the 28th !